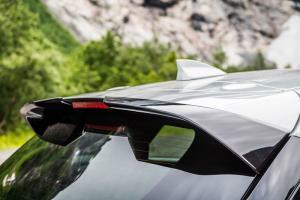 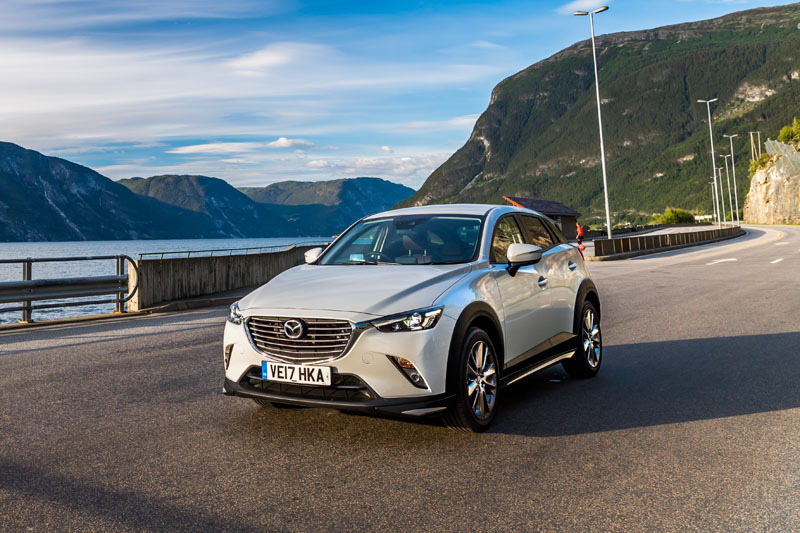 For two grand over a Sport Nav model, Mazda will adorn your CX-3 with a full aero kit – that’s side skirts plus modest bumper extensions, both with subtle silver inserts – a gloss black roof spoiler, and rather neat 18-inch alloy wheels. 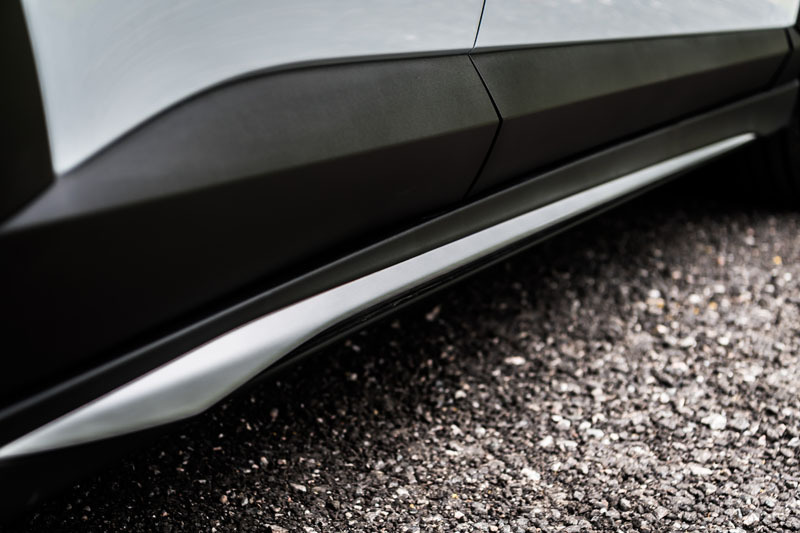 You also get Meteor Grey or – our favourite – Ceramic metallic paint thrown in. 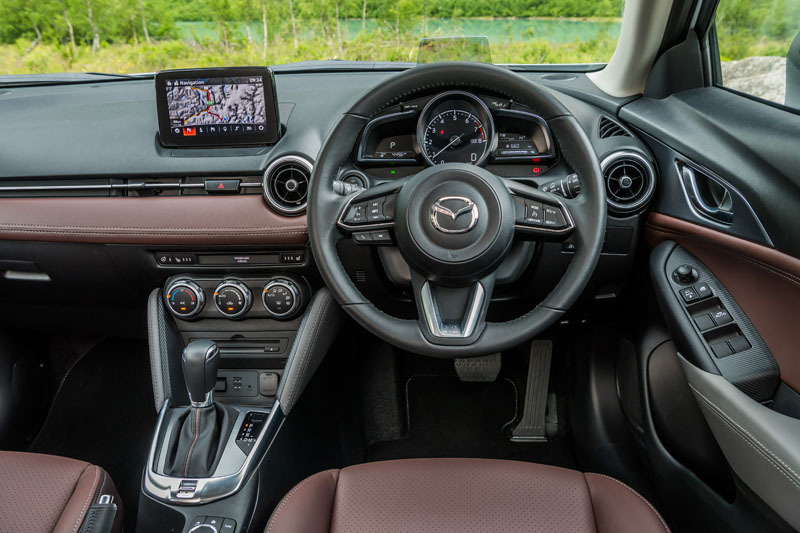 Not to be left out, the interior gets an upgrade with Nappa leather trim for the seats, dashboard and doors, finished off with appealing contrasting stitching. 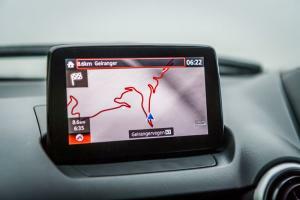 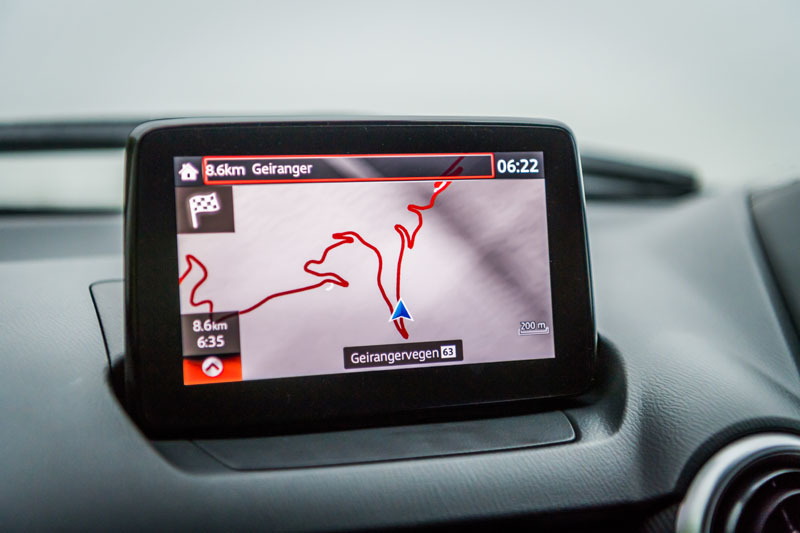 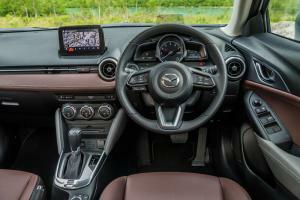 Everything else is Sport Nav business as usual, so that means a kit roster that includes heated seats and steering wheel, head-up display, climate control, LED headlights, reversing camera, and Mazda’s excellent media and navigation system. 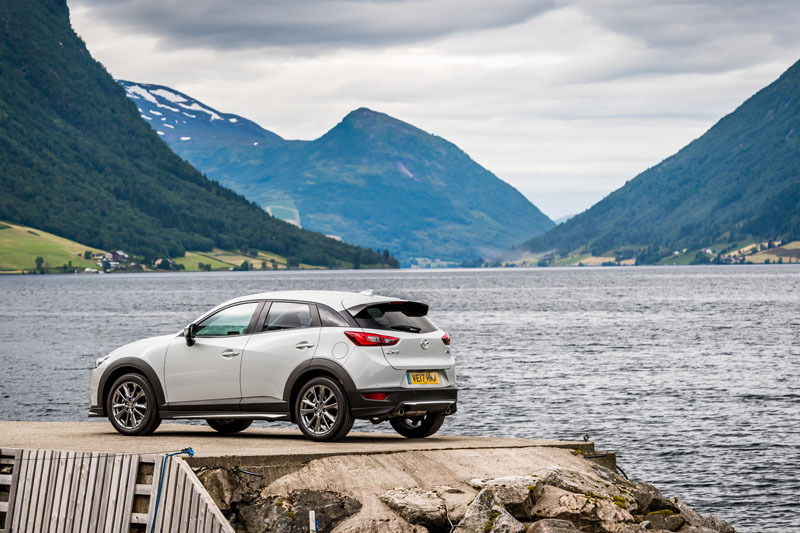 Cabin space is surprisingly generous – certainly more than the CX-3’s diminutive exterior proportions might suggest – and although tall drivers may find their left leg rests against the centre console, Mazda wisely chose to add some leather-trimmed padding to make it more comfortable. 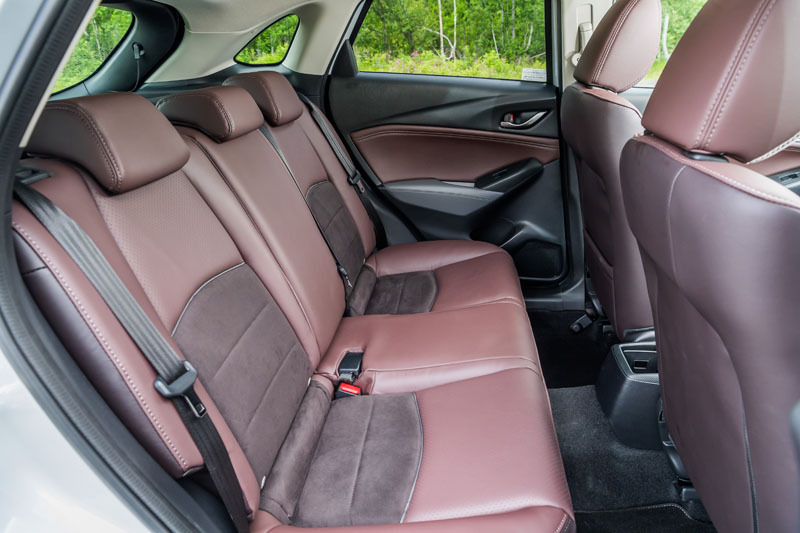 A pair of six-footers will find the rear seats perfectly adequate, although adding a third creates something of a struggle for floor space due to the transmission tunnel. 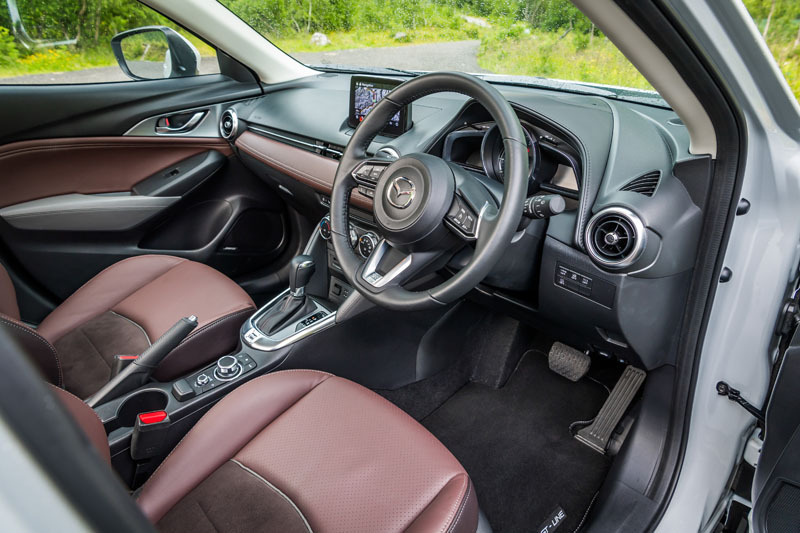 That aside, the CX-3 feels far more airy than many of its rivals, thanks perhaps to a slightly elevated rear seating position affording those in the back a decent view out. 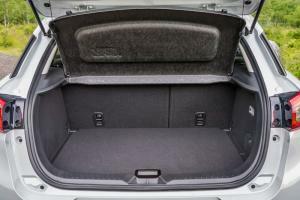 Cargo space is a respectable 350 litres, or 1,260 litres with the seats folded. The Bose subwoofer means there’s a small price to pay in lost underfloor storage, while the use of a parcel shelf instead of a retracting load cover does give rise to the perennial problem of what to do with it once the seats are folded. 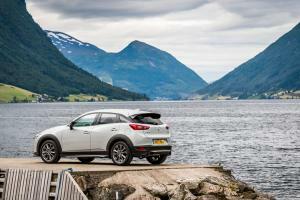 But the CX-3 still wins over its rivals with a wide boot opening and only a shallow load-lip to contend with. 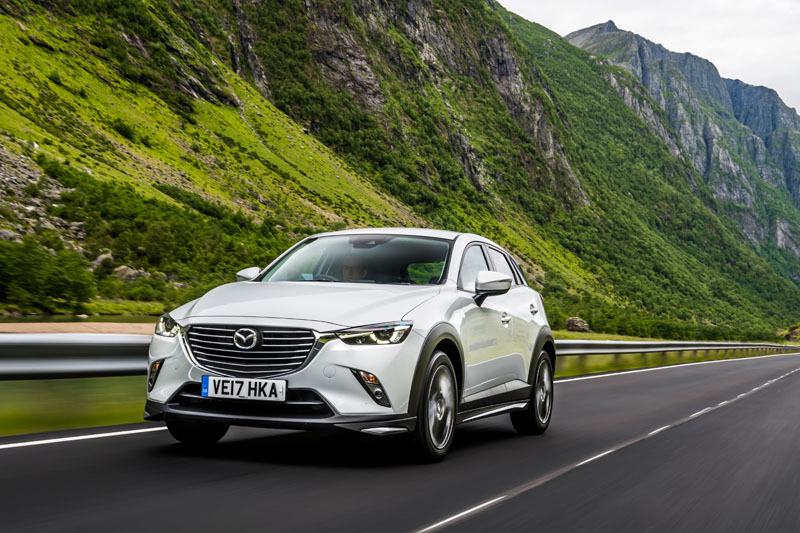 Although a regular CX-3 is offered with a choice of petrol engines plus a diesel, as a limited edition the GT Sport is available only with Mazda’s 120ps 2.0-litre petrol. That’s no hardship, though, as it’s arguably the pick of the bunch. 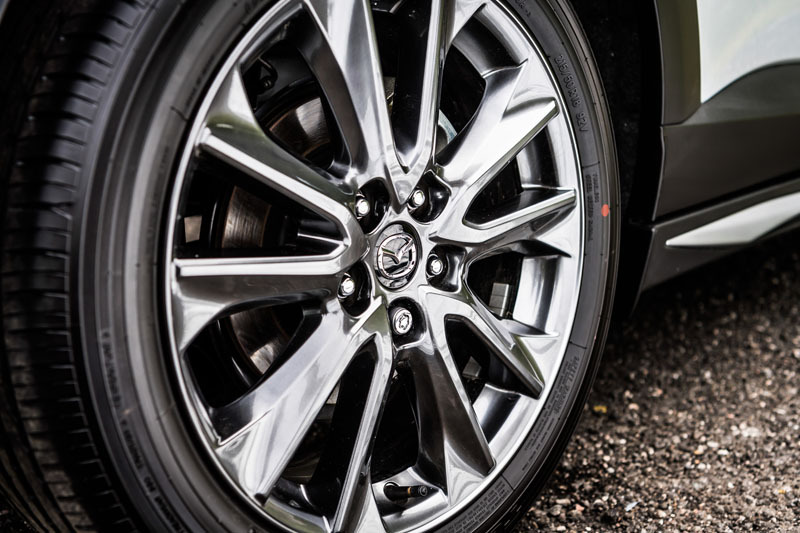 As standard, it drives the front wheels through a six-speed manual gearbox with a typically delicious shift-action, although an auto is available if you’d prefer. 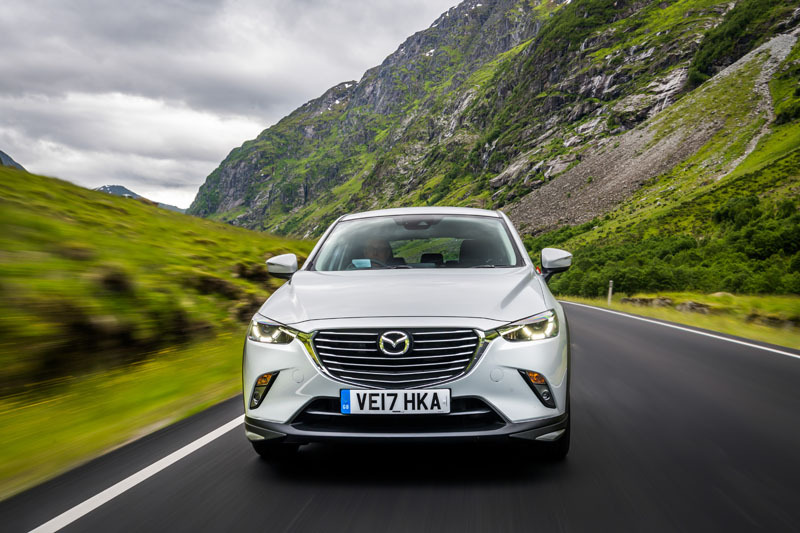 It’s perhaps a little whiney in first gear, but it soon settles down to a restrained and comfortable cruise, and will happily lollop along in a high gear without much in the way of complaint. 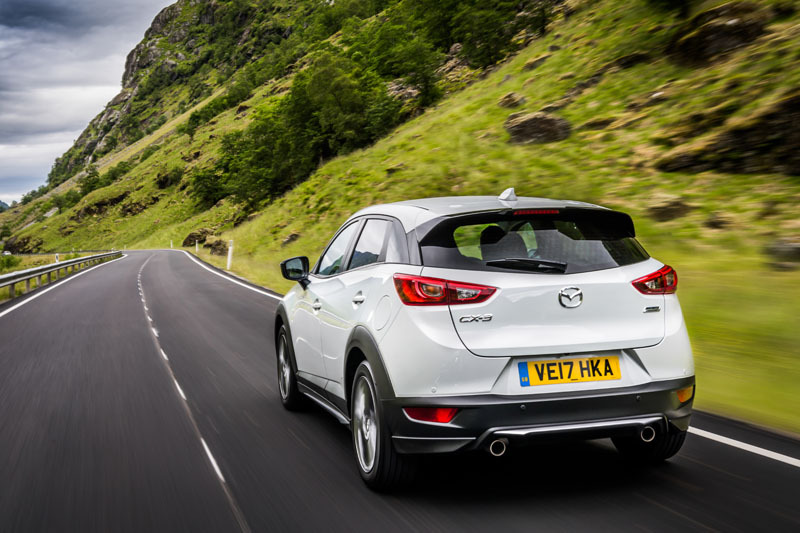 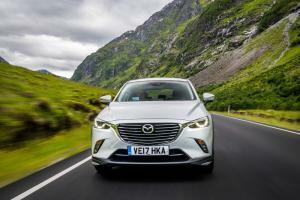 That’s largely thanks to Mazda’s policy of ‘right-sizing’ that favours the use of larger capacity engines, but it also means the CX-3’s 2.0-litre unit offers more torque than other cars in its class without resorting to turbocharging. If you’re prone to sprinting away from the lights, the CX-3 will whir its way to 62mph in nine seconds dead, but take things a little easier and you can expect to see very respectable economy – we had no trouble in achieving the GT’s official figure of 47.9mpg, with more undoubtedly possible with a little extra effort. 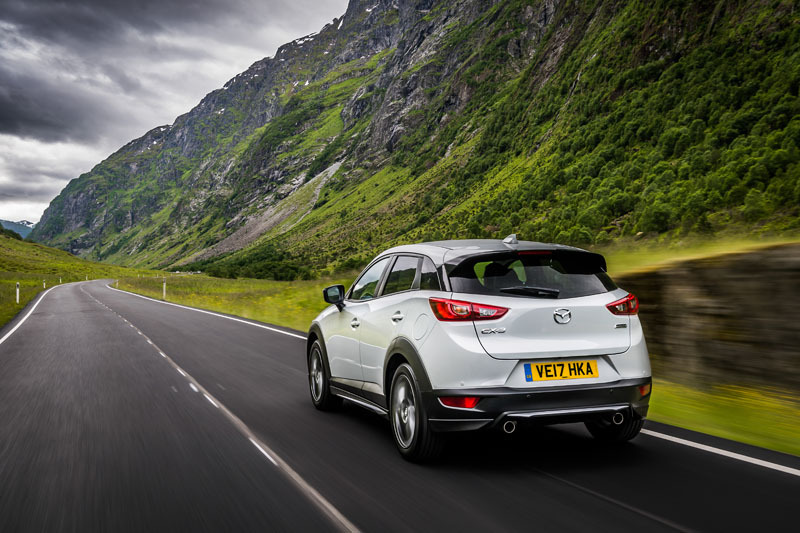 With no mechanical changes over a regular CX-3, the GT Sport offers much the same driving experience as before – while perhaps not as perky as the smaller Mazda2, it still offers an amiable sense of lightness and agility, backed up by confidence-inspiring brakes and beautifully light steering. The CX-3’s modest size might hint at a car likely to spend its life squeezing cheekily through small gaps in town, but what surprised us most was the little Mazda’s willingness to tackle a long-distance motorway journey. But then that’s part of what makes the CX-3 such an endearing all-rounder. And in GT Sport guise, a visually appealing one, too.